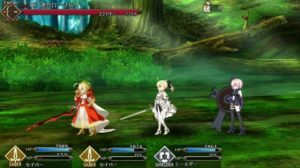 This article contains the Beginner’s Servants Growth Guide. 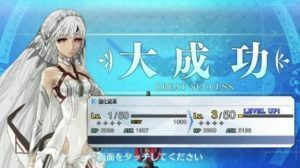 It summarizes the factors that influence the servants growth through Increasing their level, Ascension, Skill Reinforcement, and Noble Phantasm (NP) Level Reinforcement. 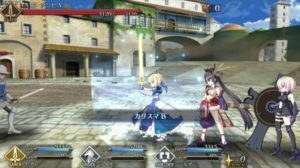 In Fate Grand Order, servants require combining Saint Graphs. There are a number of methods to raise the performance of your servants via the Saint Graph. This includes Increasing their Level, Ascension, Skill Reinforcement, and Noble Phantasm (NP) Reinforcement. 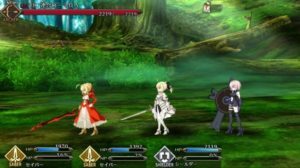 Servants in Fate Grand Order need to be strengthened as this will make them more efficient in combat. In order to raise your servants level, you will need to either sacrifice another servant, or consume EXP Cards as they do not reap the benefits right off the bat. Once the servant’s gauge fills up entirely, he will gain a level. This will automatically increase its ATK (Attack Power), and HP (Hit Points). Click here to see a detailed guide on Easy Servant Leveling. 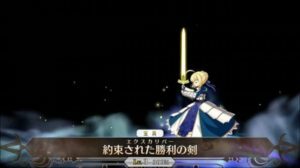 In addition to increasing the Servant’s level, they also undergo different Stages to become stronger servants. To raise a servant to the next Stage will require Ascension items and QP. 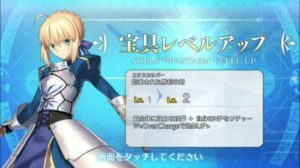 Ascension Items include Servant Pieces and Servant Monuments. Click here to see a detailed guide on Ascension. 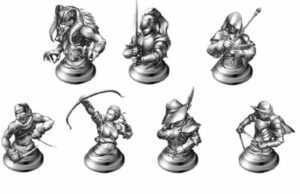 The required Pieces and Monuments to ascend servants will vary depending on the servant class of your desired servant. If you accumulate the required amount of Ascension Items, you can raise the Stage of your Servant. By doing so, it will extend the MAX level of your Servant and unlock new Skills, resulting in an improved version of the servant. Click here to see a detailed guide on Farming Pieces and Monuments. 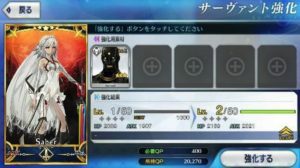 A servant can ascend for a maximum of 4 times. By promoting your servant to the next stage, he will receive a new illustration as an added indicator. 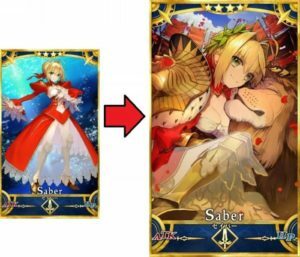 This form change not only affects the servant’s card illustration, but also his in-game sprite as well. Another aspect that strengthens a servant is through Skill Reinforcement. 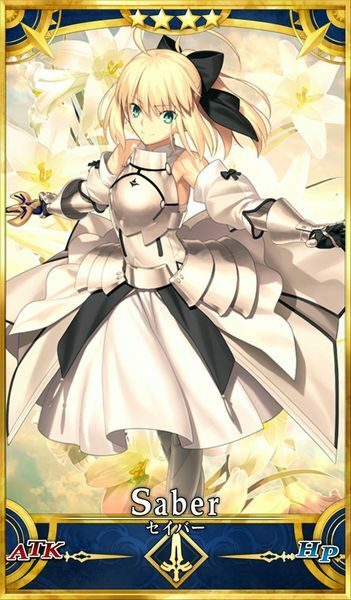 Basically, servants possess Active Skills that when raised will raise its level similar to raising the servant’s level, and in return will boost the skill’s effect. 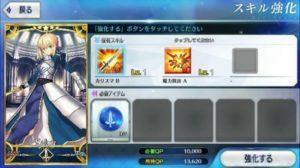 To reinforce a servant’s active skill, it will require Skill Reinforcement Items. 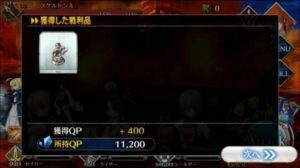 These items, similar to Ascension Items, will vary depending on the class of the servant. To ensure that your servants gain an edge in battle, aim for Skill Reinforcement. Click here to see a detailed guide on Skill Reinforcement Items Farming. By fusing two of the same servants, the level of his Noble Phantasm will rise. 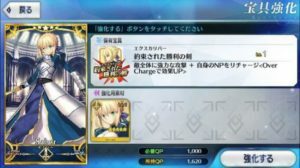 Increasing the NP level will have a direct influence on its primary effect (which is also influenced by the NP Rank) and NP Gauge.